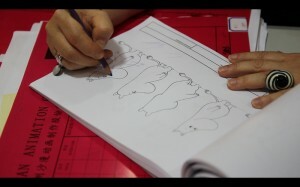 Valerie, our character designer, checks a drawing of the Maid character. 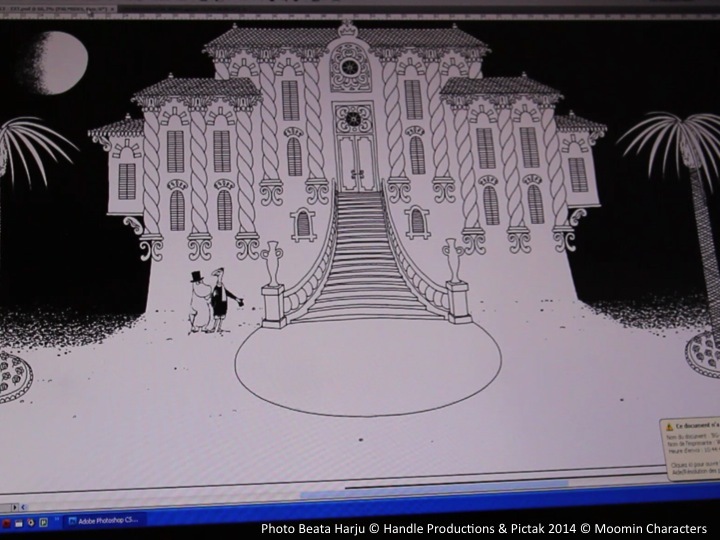 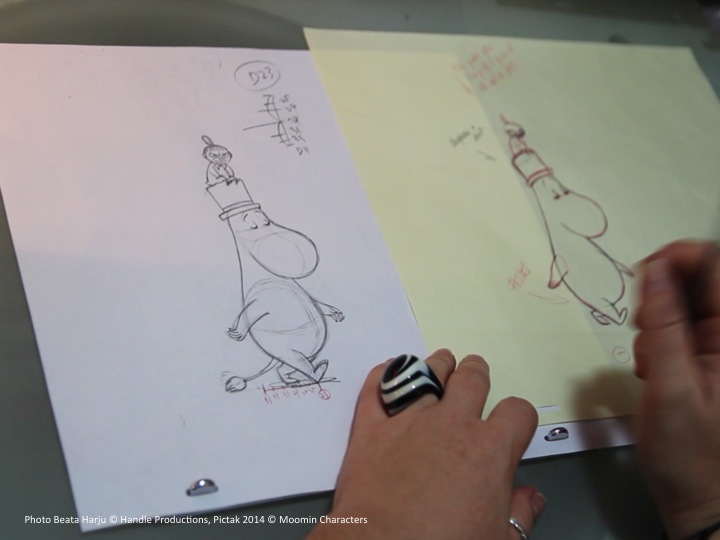 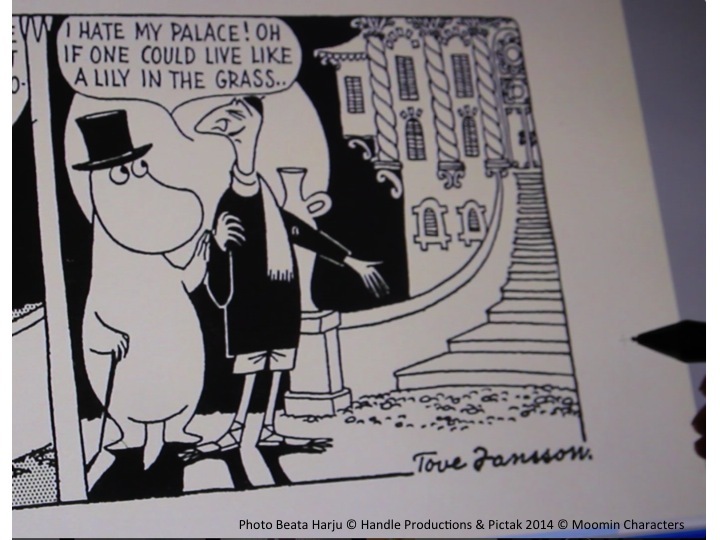 The movement of Moomin’s arms is under the lens. 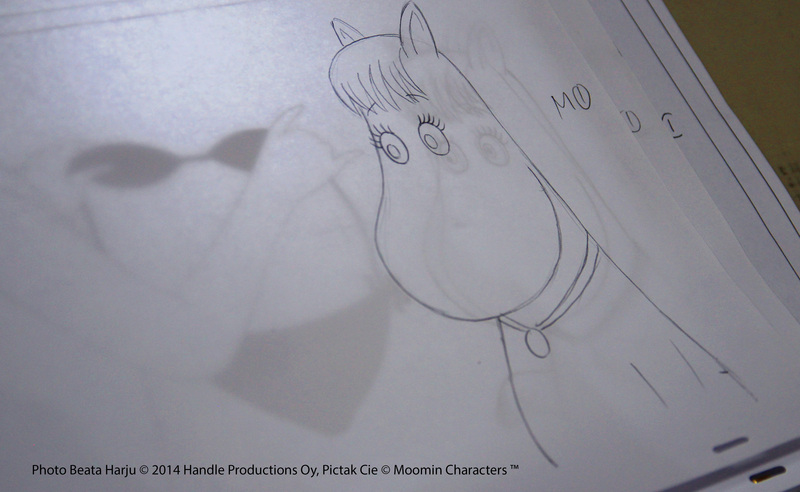 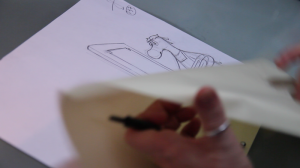 Our character designer Valerie making corrections on a drawing of Moominpappa and Little My.